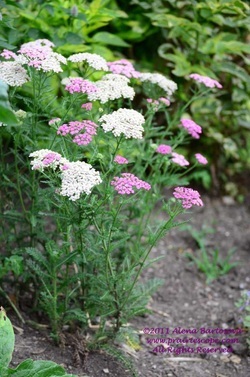 Common yarrow is one of those plants that often go unnoticed; you may pull it out from your garden or that lawn that doesn't get mowed and not think about it. This perennial plant can grow to three feet. The leaves are feathery looking, arranged in a spiral along the stem. The flowers are white or pinkish, small, and arranged in clusters, often flat on top. 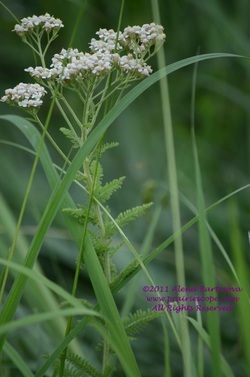 Yarrow has been used in herbal medicine in several applications. Sometimes you see it proudly displayed in natural-looking gardens, there are also other varieties with red, yellow, or orange blooms you can buy at garden centers.